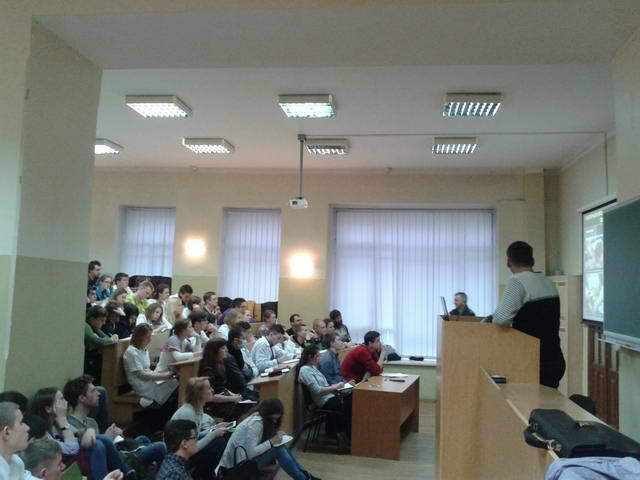 The lecture on topic “Surgery of military time” was held on 4, March, 2014 in lecture hall No 1 in pharmaceutical building. Colonel of medical service, head at department of military surgery at Ukrainian military medical academy, Doctor of Medicine, professor, Honorary Doctor of Ukraine, doctor-surgeon of higher category Yaroslav Leonidovych and deputy head of Chief military medical center “Chief military clinical hospital”, chief surgeon of Ministry of defense of Ukraine, colonel of medical service Anatoliy Anatoliyovych Shudrak read the lecture to students of University at invitation of professor Kateryna Mykolayivna. 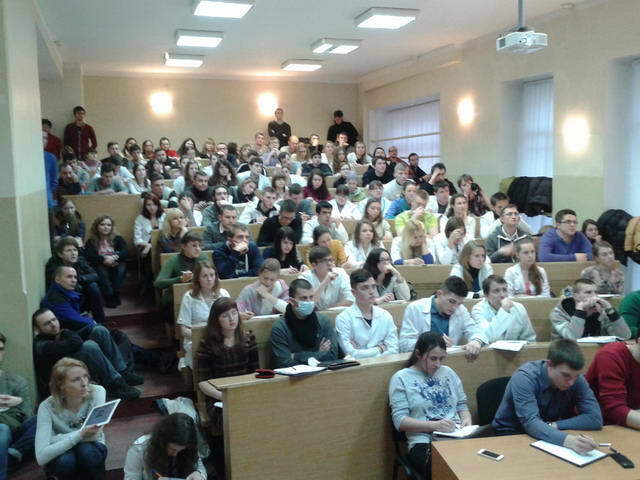 Many students, paramedics, doctors-interns, medic-volunteers from Maydan were interested in urgent (unfortunately!) topic of the lecture. The format of the meeting was rather non-standard and open and the lecture itself received the high assessment by present people. 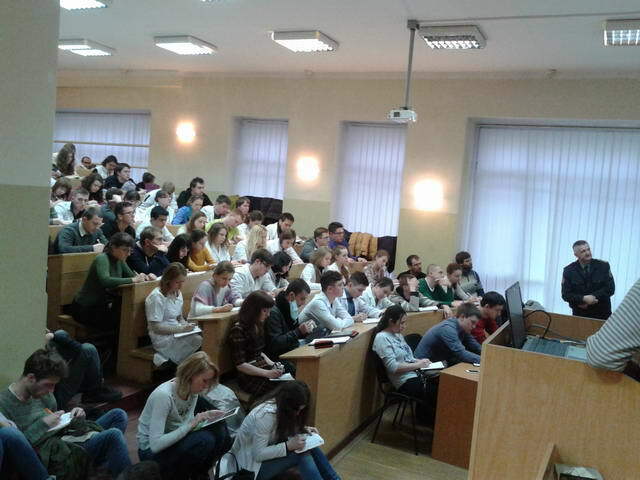 The answers for a great number of questions to lecturers established the situation of qualitative professional dialog. 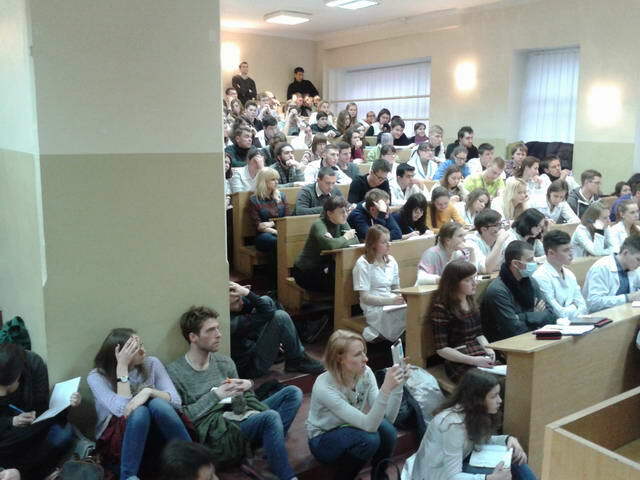 Students thanked the initiative group for idea to perform such lecture, professor K.M. 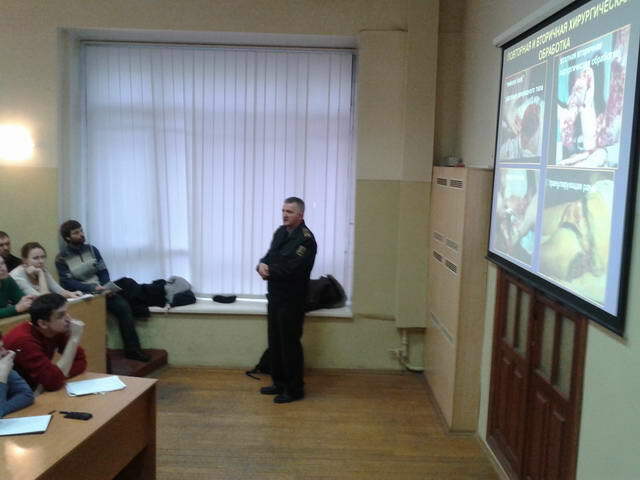 Amosova for assistance and organization of event, and military surgeons for qualitative presentation of lecture material.